Home Science for Kids 5 Ws & H What are Go-Go Boots? Ever seen rock stars or movie stars strutting about in calf-length boots? Well, these calf-length boots were the rage at one point of time. Discotheques at Los Angeles, Las Vegas and New York saw young women dressed in thigh high skirts to show off these boots called Go-Go boots. 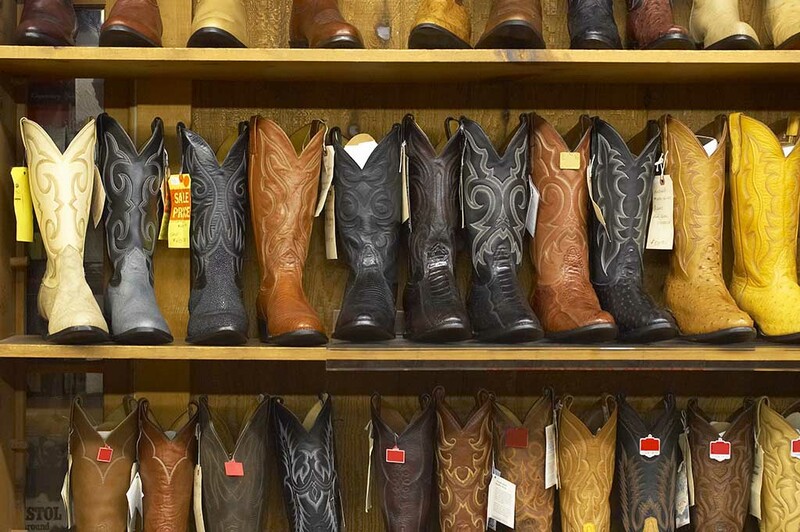 The Go-Go boots had its origin with the original ankle-length boots with pointed toes and inch-high heels worn by Cowboys in the American mid-West. Cowboys needed these boots for riding, and to ensure they don’t bitten by scorpions or snakes when they were walking on the desert undergrowth. The heels also gave them a grip from being dragged along when they lassoed a cow or calf for branding (leaving a mark of the owner on the skin of the cattle) or during cattle drives. By the late 1940s and 1950s, the boots became a rage with city-bred youngsters to give a macho “tough guy” image. At the height of teenage fashion people could be seen dressed in T-shirts with cigarettes packs rolled into sleeves, leather jackets and steel-tipped soles on their boots. Steel clips or horseshoes were fastened with copper rivets on the soles of these shoes to cause a tapping effect when they walked. These tap shoes were usually black and the swagger and metal tap on school halls added to the tough guy image. This style faded out by the mid-1960s at the height of the flower-power hippy culture. Ankle-length boots rose to calf-high and later knee high boots when Go-Go boots became a fashion statement. Go-Go boots were first introduced in the 1960s by French fashion designer Andre Coureges. That year, his collection featured all-white attire that included dresses that ended three inches above the knee and white mid-calf boots, called “kid boots”. When people started attending discos wearing it and dancing the night away it became the “Go-Go” boots. In 1965, Nancy Sinatra wore those boots and recorded a song These Boots Are Made for Walking that became a smash hit topping the US and Billboard charts. The record sold 4 million copies and the boots made history. And Nancy Sinatra became the poster icon for the Go-Go boots. However, two years later Go-Go boots too fell out of fashion though they were occasionally worn by rock stars and stage performers. During the same period platform shoes were introduced as they were nearly as high as a platform or sidewalk of the road. Also referred to as “the Elevated Orthopedic Nightmare,” these shoes had broad heels and broad toes uniformly two or three inches high. Walking on this required great dexterity and at its peak there were many casualties to this fashionable boots. However, these shoes found a ready buyer among people conscious of their short stature. Orthopaedics (doctors who specialize in bone treatment) began to have a field day with hundreds of people being wheeled in every day with twisted or broken ankles after tripping off these high shoes. Thankfully the platform nightmare disappeared for some decades but made a fresh comeback in the 1990s. Singers like Elton John and rock groups, and other fashion leaders, introduced this fashion once again. Over the decade, platform boots gave way to platform sandals. Today, it is very fashionable to wear platform-high slip-ons or sandals and totter about, all the while praying that you will not trip and twist or break your ankle.